Find a way to escape the island, or this vacation may be your last! 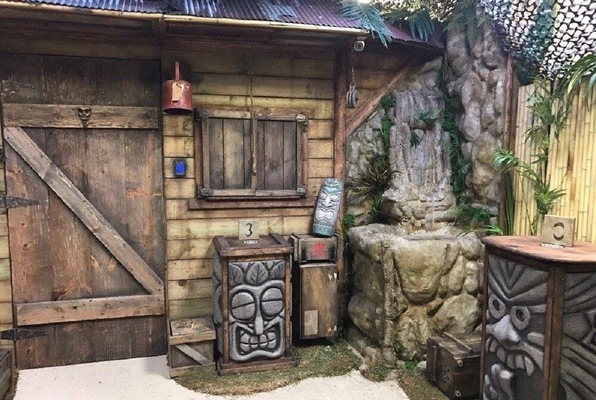 Last reviews of escape rooms by "The Jet Ski Escape Room"
This was my second time to an escape room experience this was way better than my last as they have way cooler locks and creativity. The people gave us hints as needed and helped us but it is very unusual. First escape room ever. Had a blast. Family of 4. Sam was great a and gave us clues as needed. Would recommend and do again. My group and I enjoyed this room soooo much!!! Karina was our host. She explained everything to detail. Was very helpful and the entire theme and puzzle/clues and all made sense. We were 3 and shared the room with a couple and it was just enough people. Everyone figured something out and we helped each other as a team even though we didn't know each other. It had 3 sections but we didn't know that til we figured out the clues, obviously. It's by far the best one I've done, the most organized, nothing broken, best time ever!! We've done a few already, this one is worth spreading the word.